I had several other models that usually came with hydration packs I bought. They usually all broke quickly and I replaced them with this brand and model. The Shut off valve is great. It keeps it from leaking during long hard rides. My bite valve needed to be replaced about a year ago. But with the hydrolock has saved me a few bucks. I have had the camelbak lobo for about 3 years and the hydrolock came with it. It was a great investment. Had to replace the original lock on my Mule and this was the perfect replacement, no drips! Would buy again no questions asked. I bought this as a replacement valve so that I could fill out an order and get free shipping. Works fine. I bought this to have a right angle on my camelback. Old one was easy to remove and the new one was easy to install. The valve drastically improved the fault in early camelbacks which makes you contortion the hose to reach your mouth, and when you are mountain biking that is not a fun thing to do. 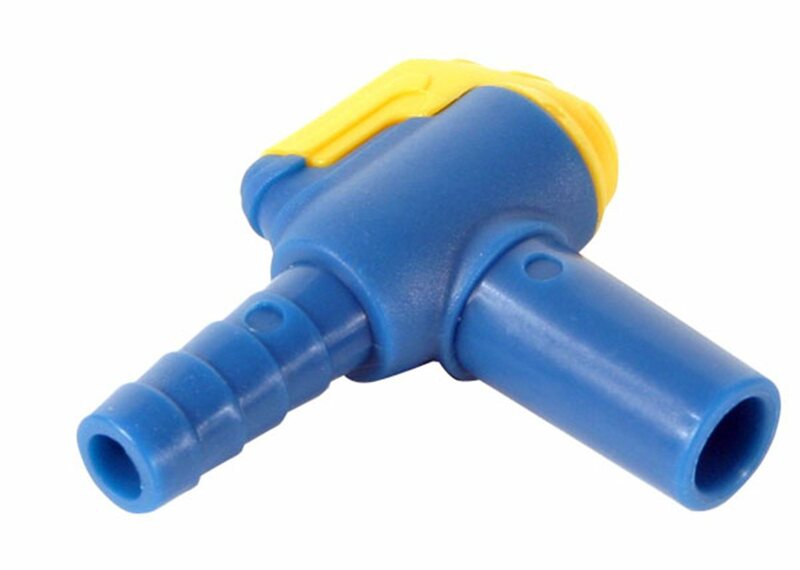 This valve, you just place in your noisemaker and flip the yellow valve. Perfect fresh cool water to rehydrate your life to press on.